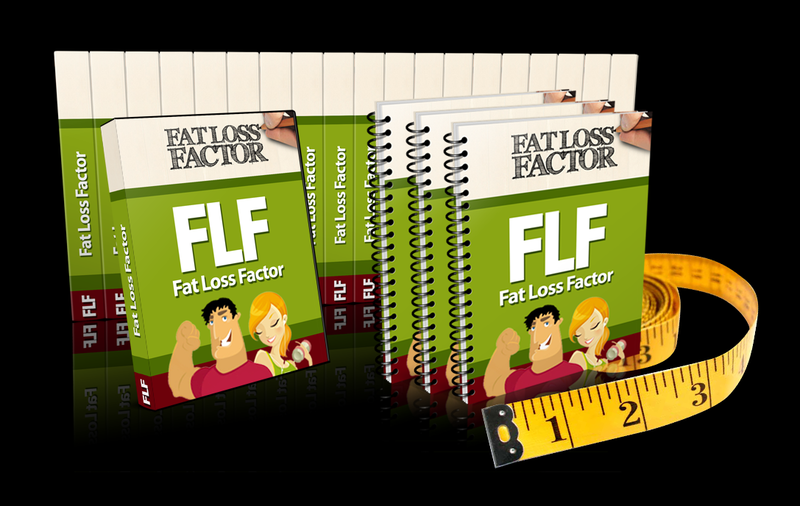 The Fat Loss Factor is unusual in that it's a combination of diets and you choose which plan to follow according to how much weight you want to lose and how quickly you want to lose it. It's a comprehensive program which is delivered in the form of a selection of eBooks, videos, PC software (Windows only) and a membership website. You simply select the plan according to your weight loss goals – or mix and match depending on your circumstances. The program's creator Dr Charles Livingston, chiropractic physician and wellness practitioner, describes the program as an “un-diet”. His aim is to change the way you approach food so that you can continue to enjoy the food you love, but team it with eating specific fat burning foods so you lose weight and then maintain your new slim figure. In order to continue to eat all your favorite foods without gaining weight, it's important to make sure that your metabolism, liver and colon are working effectively. For turbo charged weight loss, Dr Charles recommends preparing your body by doing a “Master Cleanse”. This detox removes toxins which have accumulated in the liver and also clears the colon. During the cleanse you can lose up to 9lb and 3 inches off your waist. However, if detoxing is not for you, then good results can still easily be achieved by following the Quick plan. The program covers in detail what to eat to continue losing fat and avoid the dreaded weight loss plateau. There is a complete and very detailed list of fat burning food – and it's much longer than I thought it would be. There's also a list of foods which you should choose to eat in moderation and another list of foods which guarantee weight gain. Few people will be surprised to learn that the top item on this list is doughnuts and pastries, but some of the other 14 pound packing products are not so obvious. As well as food choices, the diet focuses on what Dr Charles calls structured eating, which is basically what you eat at what time. There is a lot of flexibility in the plan, so it should be easy to fit it into your life. The plan also includes cheat days which is good news for me! One area where this program differs from many of the others, is that 90 days worth of meal plans and recipes are included as standard. This really helps to set you up for success with ideas and the included grocery list. Most of the recipes in the meal plans are comprised of every-day ingredients and are actually very tasty. Each day includes a smoothie – the strawberry cheescake one was particularly nice. The nutritional breakdown of most of the recipes is specified and the diet is a of a low calorie, low GI type diet. If you are looking for a low carb diet, then the 3 week diet (click here for our review) would be more your scene. A few of the recipes omit to mention how many people they serve, the default seems to be 4, but some recipes must be different – unless half a cup of oats serves 4 people for breakfast! There are a few less standard ingredients included, Whey powder features quite a lot – and I know in my home it's not something we keep in stock. However with the mix and match nature of the diet, you don't have to prepare these particular dishes. For me, meal plans and recipes are a vital part of any diet but most weight loss programs only add them as as an extra cost option at checkout, so I am impressed that this is a standard part of this package. The Quick Start guide (a mere 52 pages long!) begins with a section on mental preparation. This explains how to ensure that the diet doesn't become an overwhelming chore. It also gives you strategies to ensure that you don't give up through frustration and time pressures and how to stay motivated throughout your weight loss journey. Dr Charles is very keen on recording your progress as a motivational aid, and provides both paper and computer based trackers as part of the program. Most weight loss plans include exercise and The Fat Loss Factor is no exception. The fat loss workouts take between 30 and 50 minute depending on your level. All the workouts are designed for muscle building and include exercises with different types of weights and some other equipment. Each exercise is illustrated with a 3 second video of a rather unusual animated character and has full written instructions. As a former personal trainer, I would say that these are not workouts I would recommend for most women, or for anyone who doesn't like going to a gym. The good doctor has an impressive physique and is clearly into weight training. However I would suggest that a better, safer, alternative for most people would be a proper video based workout like Turbulence Training where the trainer shows you in detail how to do the exercises correctly and safely and has alternatives for less fit or experienced individuals. As a bonus, Turbulence Training requires less equipment! Most diet programs tell you what to do, and then leave you to get on with it. Unusually, this program is completely comprehensive and includes everything you need to make sure you can complete the program and reach your goal weight. But I would also recommend that if you intend to make exercise part of your plan you invest in a specialist exercise program instead of the included workouts. Who is Fat Loss Factor best for? Because of the many different choices within the program, there is a variation of the plan which should suit everyone. People who don't like exercise much – you really don't need to exercise to succeed with this “un-diet”. Vegetarians or vegans would do better on this program than the 3 week diet as the protein sources will suit them better. Anyone who knows they should eat a healthier diet but would like some guidance. Anyone who doesn't get on with a low carb diet. It's actually a pretty safe diet. However, if you have any medical issues, you will need to discuss the diet with your physician especially if you intend to follow the Turbo weight loss plan and Master Cleanse. If your body type is such that the only way you can lose weight is with a low carb diet, then this isn't the diet for you. However it would probably work as a maintenance plan. Videos of Dr Charles in his kitchen explaining about the ingredients involved in the Master Cleanse and how to prepare them. I had to watch them twice as I was distracted by his very impressive biceps! Beginner, Intermediate and Advanced workout plans detailing the exercises, repetitions and sets. When you buy the Fat Loss Factor, you will be sent an email with login details (username and password) to log into the membership website. Here you can watch all the videos and download all the eBooks. If you prefer a printed book, there is an option in the membership site to get a paperback copy sent to your home. There is a charge for shipping and handling if you choose this option. Yes, an 8 week complete refund guarantee if you're not completely satisfied. Other Fat Loss Factor reviews? My Aunt is using this program and I have personally seen her loose weight in just over a month. Shes all happy that she lost weight and can fit into her jeans again. What companion products are available? As with most weight loss programs there are some additional items which have been created as optional extras to the program. Purchasing the Fat Loss Factor gives you the opportunity to buy any of these additional items if you feel that they would make your weight loss journey easier. It's completely optional as Fat Loss Factor is fully comprehensive, but some people find that the extra help is invaluable. For full details of all the companion products, please click here.